HPPSC Syllabus - Free PDF Download! - hppsc.gov.in IndiaJoining.Com – Govt Jobs, Sarkari Results and Much More! 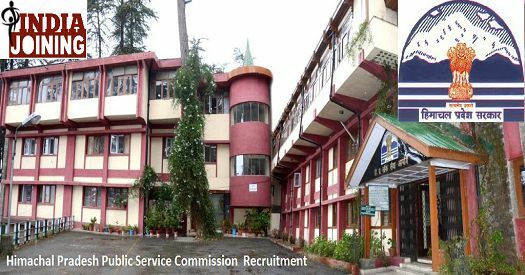 Himachal Pradesh Public Service Commission (HPPSC) recruits on to the various posts of civil and administrative services within the state by conducting several competitive examinations and recruitment tests. Providing here the latest syllabus and test pattern of various recruitment tests and examinations to be conducted by HPPSC. Download the syllabus for HP SET examination, HPAS, and HP SOS services examination. HPPSC Syllabus For Teaching/Faculty Posts – Free PDF Download! HPPSC Syllabus For Engineering Services/Posts – Free PDF Download! Himachal Pradesh Administration Service Examination Syllabus- Free Download! Himachal Pradesh Subordinate Allied Services Examination Syllabus- Free Download! HPPSC Syllabus For Accounting & Finance Posts – Free PDF Download! HPPSC Syllabus For Medical Services Posts – Free PDF Download! HP State Eligibility Test (SET) Syllabus – Free PDF Download!